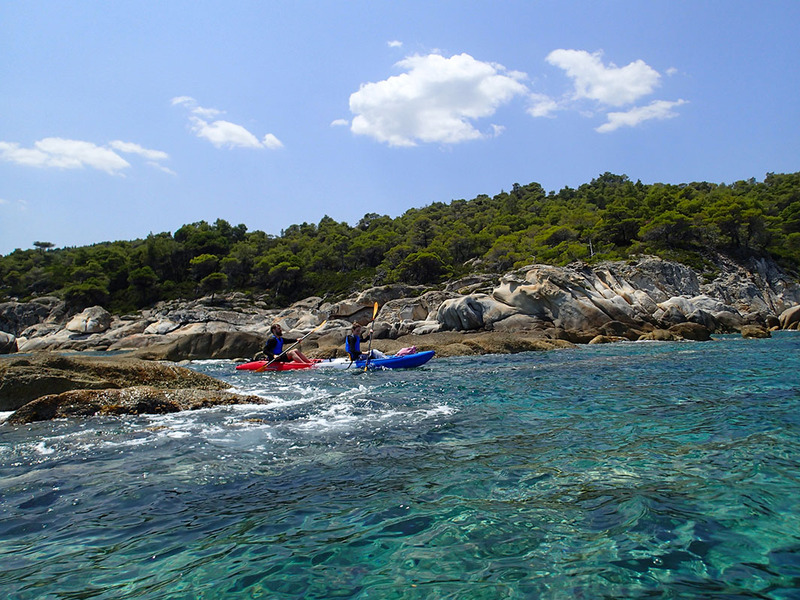 On our kayaking adventure trips we will paddle the clear Mediterranean waters of the Aegean Sea, relax on deserted beaches, go into caves, explore the remote, unique and spectacular coastline of Sithonia, Chalkidiki. We have a selection of single and tandem (double seat) kayaks which are ideal for families, couples, and friends. Our guided day-trips are available on most days, from April, through to the end of October. Everyone is welcome, no previous kayaking experience is necessary. Another option for you is to join our tours with a SUP (Stand Up Paddleboard), a brilliant activity that requires a bit more balance. Instruction is offered as required. These trips are designed for people with little or no previous experience, but for more experienced kayakers as well, our kayak tours are the ultimate in “soft adventure”. The goal is to move quietly and easily through the landscape and try to take as much of the scenery as we can. We try to ensure that everybody has a great experience because we really want you to try this again, whether it is here or in some other part of the world. Your safety is our main concern. At the launch site, you will be given briefing and safety instruction. We will not begin our journey until everyone has a good understanding of how handle a kayak and what to expect once underway. All you need to bring is a bathing suit, a towel, a hat, sunscreen, and you are ready for a day filled with adventure, exercise, and unforgettable beauty. Booking in advance is recommended. Please see contact us by email, we answer promptly usually within 24 hours. If you want to speak with us please call us. 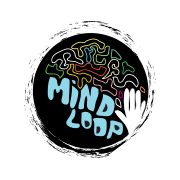 © 2009-2019 Mindloop - Outdoor Activities™. All Rights Reserved. We are using cookies in order to offer you the most relevant information.